I finally found my culottes and in a jumpsuit format no less…I found this DVF jumpsuit on eBay and got it for a steal! I would not normally recommend such a purchase without trying it on first, but I know this brand and what size works for me. And luckily my hunch paid off and the fit was perfection (and so was the price). This look is a little bold and not for everyone but I feel totally comfortable and kinda chic when I wear it. I wear this outfit when I am out shopping with clients, or switch it up with pair of heels to do lunch or dinner. 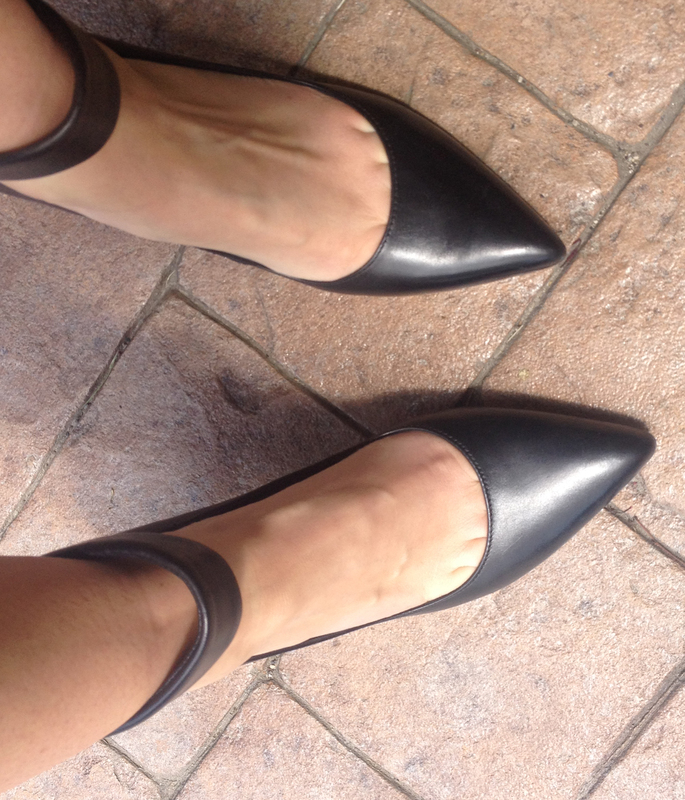 I love these black ankle strap Sigerson Morrison pumps, the heel is a very comfy 3 inches and they make any outfit feel a little extra special. I found them at Marshall’s for half of their retail value. Who hoo! 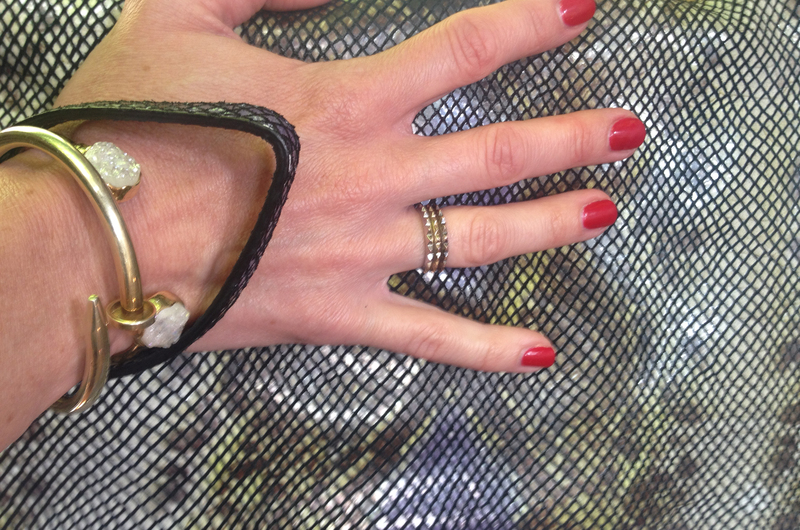 A little pop of blue in my tank matches my coloured snake print clutch/crossbody bag. A couple gold bracelets and a stack of rings complete the look. Enjoy your Wednesday…it is a hot and steamy one here! Also, wanted to let you know I tried a top knot in my hair yesterday as per one of your previous posting and it looked great (or so said a few people I ran into). Perfect for sticky weather. I know I am sporting one again today…hot and sticky!